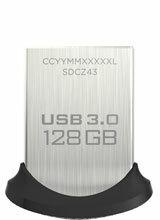 We put five mini USB 3.0 drives from Mushkin, PNY, Samsung and Sandisk to test. 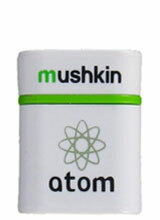 These compact drives by design can always stay plugged as a semi-permanent storage, yet fast enough for everyday tasks. 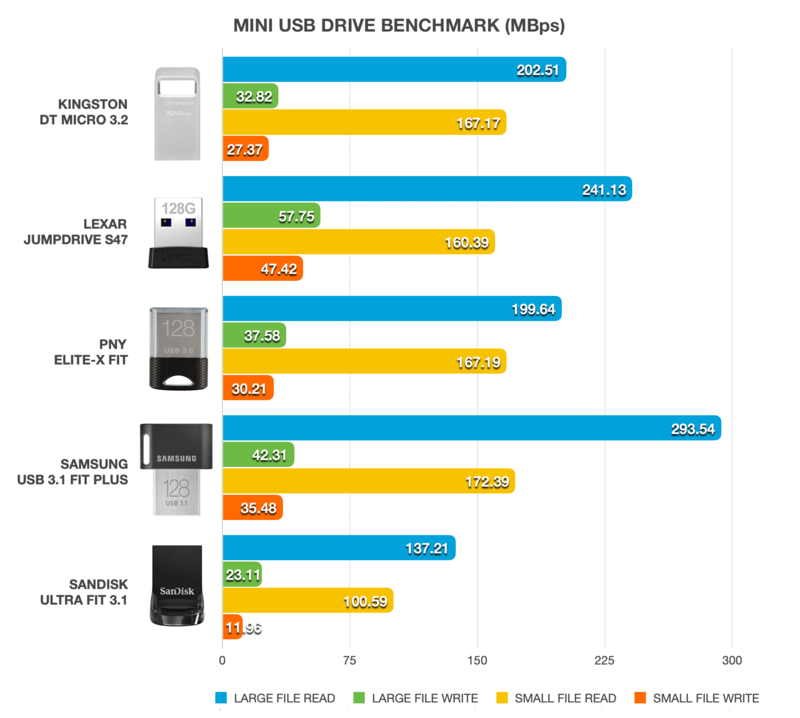 If performance is above all else, Samsung FIT Plus is the one to go for as it comes out on top in comparison to other mini USB 3.0 drives in our tests. It is also backed by a generous 5-year warranty, and is the only drive other than the Sandisk Ultra Fit 3.1 to come with a 256GB option. For the budget conscious, the Samsung’s cost per gigabyte is also reasonably low considering its zippy performance and durability. Perhaps our only complaint is the size being noticeably larger than all the other drives in this round-up. The PNY’s Elite-X Fit Fit is our next logical choice albeit slower than the Samsung but the product has been out of stock for a while already. We can’t recommend it until we are certain what plans PNY has for its mini drive. 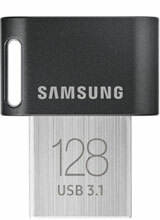 During our large file (a 10GB MP4) transfer tests, Samsung’s FIT Plus is an undisputed leader in this sub-category of USB storage; it bested the second fastest drive – PNY Elite-X FIT – by as much as 47% in read speed. It’s worth noting that Samsung’s performance ratings vary between different capacities. The 32GB and 64GB model can reach up to 200MB/s whereas the 128GB and 256GB version can do 300MB/s. Lastly, we noticed the Sandisk and the Mushkin both exhibited performance inconsistencies during write operations. The former would actually drop to below 10MB/s before slowly returning to above 30MB/s. The same thing didn’t happen with the PNY and Samsung. In another test which involved copying back and forth 5GB JPEGs (most of them being between 4 and 8MB), the Samsung was neck and neck with the PNY. Both drives remained as the leaders in this round of benchmark. However, neither write nor read speed was even close to its their larger siblings, but surely you know you are trading speed for size. Note these two tests focused primarily on sequential performance, because we felt most people would rely on a mini drive primarily as intermediary or secondary storage for media data. These mini drives, without a decent flash controller, are inherently incapable of handling applications that require fast random access. For this reason, we didn’t bother with additional testing. 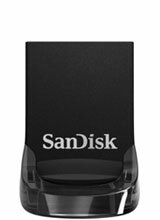 The featured low-profile USB 3.0 drives are all similarly small, but as soon as they are put next to each other, Sandisk Ultra Fit 3.1’s diminutive size compares favorably to others – even if only by a fraction. When inserted, the Sandisk only protrudes just 6mm from the edge of a laptop. Still, last generation Sandisk, PNY and Mushkin are only slightly longer in comparison. The Samsung FIT Plus in contrast is noticeably larger, probably in favor of heat dissipation. It’s worth noting that the Samsung and PNY are the only ones with a keyring loop hole. 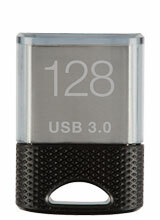 In terms of durability, Sandisk took a step backward with its squishy plastic connector with latest version of Ultra Fit 3.1. This is a concern that is already echoed by a number of user reviews on Amazon. Having said that, if you intend to leave the drive plugged at all times, this shouldn’t be that big of a problem. We would have to say the other drives with their metal USB connectors protecting the flash components could likely survive if being stepped on. Who Would Need Such a Small Drive? Buyers who want a drive that only protrudes as little as possible from a USB port should consider one. Thumb drives in general stick out quite conspicuously so they could easily get bent when being bumped repeatedly. This could easily result in data loss and maybe even worse, a broken USB port. By design, compact drives can always stay inserted to a USB-enabled car stereo or to a notebook as a semi-permanent storage for media. They can also free up precious space on the laptop’s speedy SSD for mission critical tasks. For this reason, a mini USB drive can actually prove to be quite practical to some of us who might need an effortless storage expansion option.